Engineered Concepts is making emission-free oil and gas production a reality! 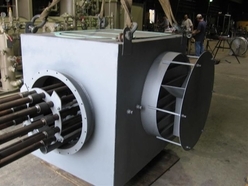 It has long been recognized that the convenient and reliable operation of oil and gas production equipment impacts the efficiency of the processing industry. We design and manufacture each product line with this in mind. Quantum Leap Emissions Free Dehydration Technology: is the first TEG dehydration process verified through the EPA’s ETV program to capture and convert virtually all hydrocarbon emissions and converts them into salable product. QLD substantially reduces total operating expenses and maintenance, improves operator safety and eliminates odors associated with TEG dehydration. Vapor Recovery System Alternative: By capturing all hydrocarbon vapors, VRSA eliminates flaring while adding $$$ to the bottom line. Flaring wastes revenue and the products of combustion increase pollution. VRSA operates in any weather condition and insures quick return on investment - maximizing recovery and minimizing downtime by monitoring and controlling the process, tank and compressor parameters. 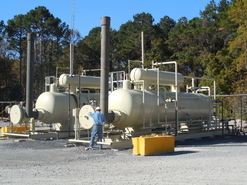 Automatic Secondary Air Control System: reduces fuel expenses and CO2 emissions from natural gas fired equipment between 30 to 50% while maintaining a standard natural draft fire tube thermal efficiency of 80% or greater. PICT Technology: makes vapor recovery operations reliable and profitable…Finally! 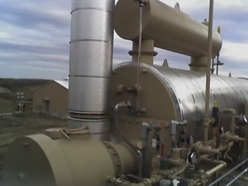 The PICT process utilizes unique temperature controlled valves that control recycles caused by the overcooling of the compressed gases (condensation) during cold weather operation. During cold weather, the PICT systems will maintain the optimum interstage temperature to keep recycles in check. With interstage temperatures controlled, a PICT equipped compressor is unaffected by cold weather.